She is a Dream. She has a sport body with tons of agility and speed. She will be an amazing hunter jumper, but she is obviously a great barrel prospect. She is doing super with her training for KT Natural Horsmanship teaching her ground manners. She comes, stops, move out, backs , stands, ties, good for ferrier, trailers. This mare is super smart and is willing to learn her new job. I think she is going to be very good at anything you want to teach her. She is very loving to me after only a few weeks with her. She is ready to bond with her forever home. She has started on the lunge line this week and she is a pretty mover. Her father is http://www.bedonna.com/SilveradoReinApHCstallion.htm She has his body type. Both parents were 15 15.2. So we are feeding her lots of alfalfa, orchard supplements and good feed to get her as big as possible. She is currently 13.2. 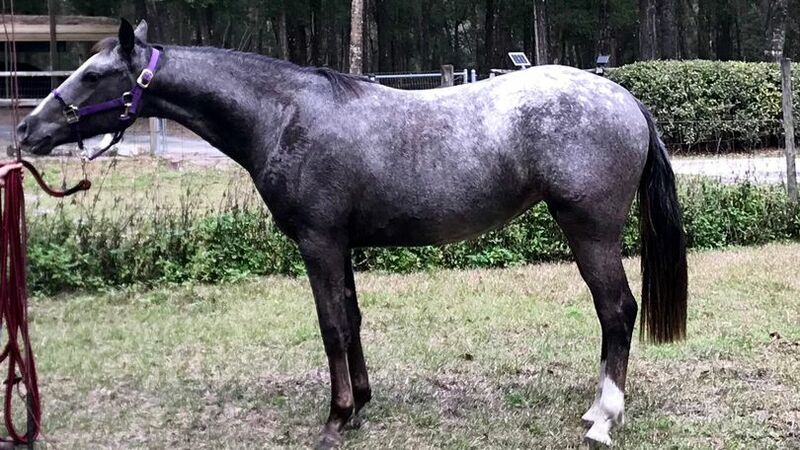 This is an amazing rare Appaloosa.she will start under saddle with KT Horsemanship in May and after her training she will me more so get her now while you can get the most unusual horse at the barn. She is a Dream horse.I will send you more pictures if you are interested. I’m looking for a good all around house to ride 15 hands. Easy going horse for family. Want next horse to be ok for trails.